Come out and support Camp Rising Sun..raising money to send kids with cancer to camp! Tickets are $25 for adults, $10 for kids (3-15 years old), Campers are Free – food and non-alcoholic beverages included. All CRS campers can attend free of charge. 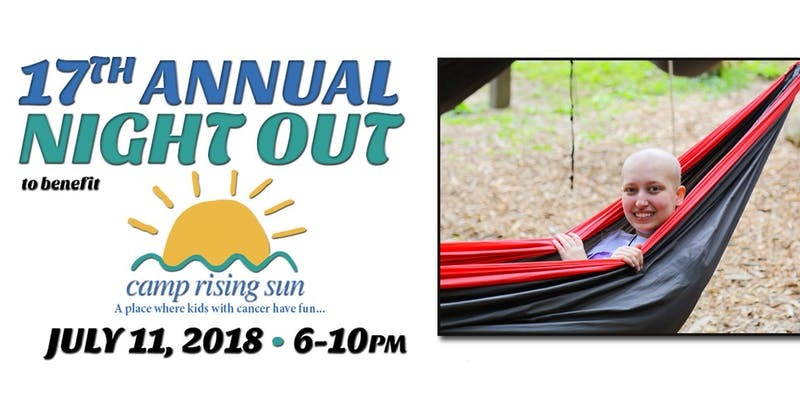 The fundraiser is sponsored by the Camp Rising Sun Charitable Foundation and organized by the Camp Rising Sun staff and our camper families.